Situated 26kms away from Thiruvananthapuram; the bustling capital of Kerala, the Maheswaram Sri Sivaparvathi Temple also known as ‘Dakshina Kilasam’ is constructed entirely out of wood and Krishna Stone in accordance to vastushastra. Constructed in traditional Kerala temple architecture, the Maheswara Temple is the centre of ancient Hindu culture in Kerala. Run on the principal of ‘Lokah Samastha Sukhino Bhavanthu’ which simply means “May all beings everywhere be free and happy.” A more expanded translation being “And may the thoughts, words and actions of my own life contribute in some way to that happiness and to that freedom for all”. In 1954 a miraculous boy was born in Chenakal a quaint village in the Thiruvanathapuram district of Kerala. At a blossoming age of three, this youngling began to meditate in a quiet corner of his austere home and by the age of ten he was renamed as Krishnan, later known as Swamiji for highly acquired sense of knowledge and astounding power. A termitary later came up at his place of meditation resembling Sri Sivaparvathi which attracted devotees from far and wide. They later built the Sivaparvathi Temple in place of the termitary. After getting divine darshan of God in dream Swamiji constructed Lord Ganesha and Lord Kartikeya temples. This brought the concept of Sivaparivar at the temple. There exists a three-storey East entrance to the temple complex open to devotees with the entire Rashichakra symbols which symbolizes Sri Sivaparvathi as the controller of the universe. In front of the main entrance there is a flag mast covered with copper plate. Other peculiarities like Navagraha Sculptures carved on wood, sculptures of different Hindu mythology characters gracefully carved on stone, and many such one of a kind intricately designed sculpture. Thirty-two forms of Lord Ganesha are installed and worshipped outside the south-west corner of the temple. At the north-west corner of the temple there is Mahalingam soaring high at 111 feet. From its inception the Mahalingam at the Maheswaram Sri Sivaparvathi Temple has been grabbing headlines for being the tallest Shivalinga in the world. 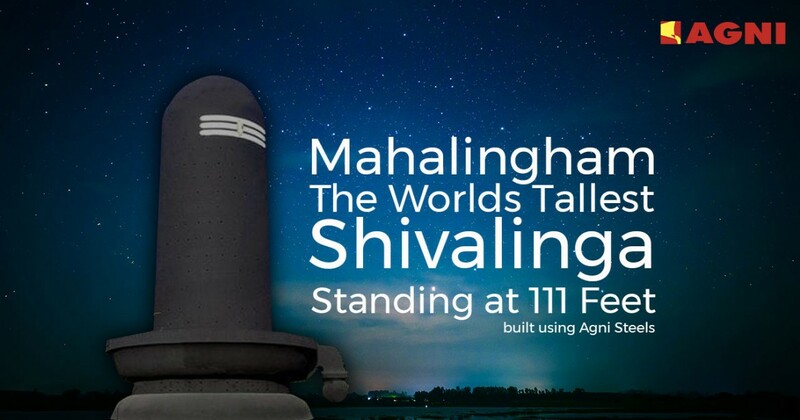 Standing tall at a staggering 111 feet this Mahalingam was constructed using ‘200’ tonnes of Agni TMT rods. 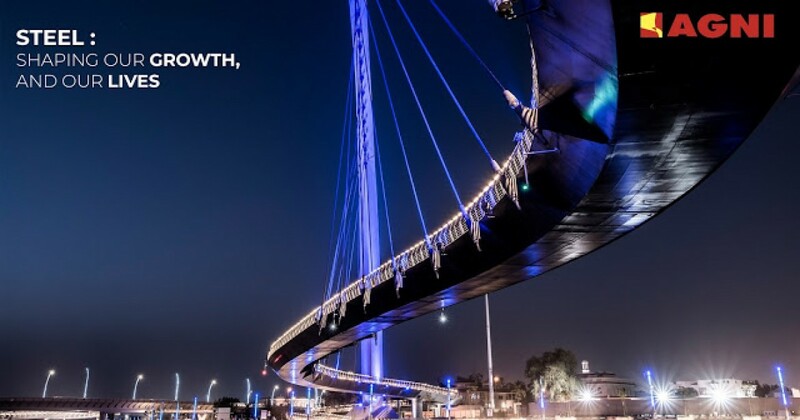 Agni steels has been at the helm of empowering communities and has now made its mark in the creation of history.